I don't wear a lot of jewellery, I am not someone who loves to be covered in bling, it just isn't me. I like my jewellery to have a meaning to it and other than my wedding and engagement rings, it is rare that on a day to day basis I would wear much else. I do sometimes wear a bracelet or my earrings if I remember, leaving everything else for special occasions. 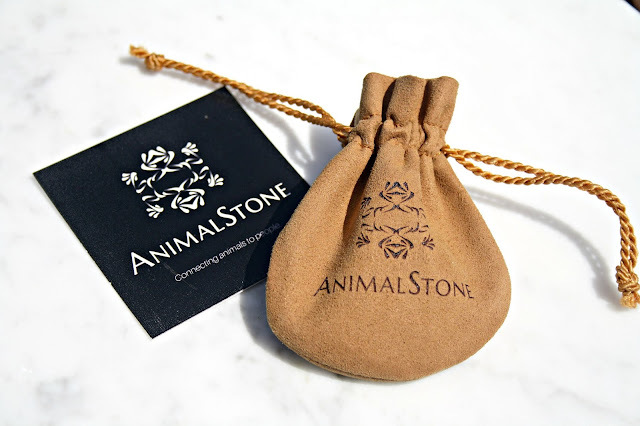 AnimalStone is a purveyor of luxury animal-inspired jewellery and is a company who was founded on the principle that animals have shared this planet with us since time immemorial. I absolutely love animals, I have three cats and an aquarium full of tropical fish, my dream would be to have my very own cattery to take care of unloved and unwanted kitties, but for that, I need a very big lottery win. When Delane Cooper and I reconnected over Instagram, it was such a delight to Facetime with her and catch up, I first met Delane many years ago when I started blogging and she has since relocated to Toronto. Delane is an incredible jewellery designer, goldsmith and artist who expresses her creativity by making beautiful pieces that are accompanied by a story for the wearer. So Delane and I had a chat about the piece of jewellery she would make for me, we chatted for quite some time about personal memories, home life, my job, blogging, life, death and of course animals. When I had asked you your three animals, you selected cat as your answer each time. Though your answer broad but probably meant domestic cat vs the wildcat, I chose our Lion because it resonated with me as to who you are. The personal power you exhibit with every communication you put out into the world is clear and comes through only because of the personal strength you exhibit. When you shared the story of your nanny and the neighbour’s cat, I sensed that there is a deep respect and quiet connection with cats that you have. Even a fellow cat lover will never know the personal connection you have with these animals. I believe it takes courage to put yourself out there with every post you do to be in the public eye sharing your opinion/recommendations. Just as a lion must go out into the open and claim his territory or a female lion going out for the hunt to supply the pride with food. Whether domestic or wild, cats are full of mystery, magic and independence. The domestic cat gets its energy from the night where as the lion represents sun energy and the cycle of power year round. 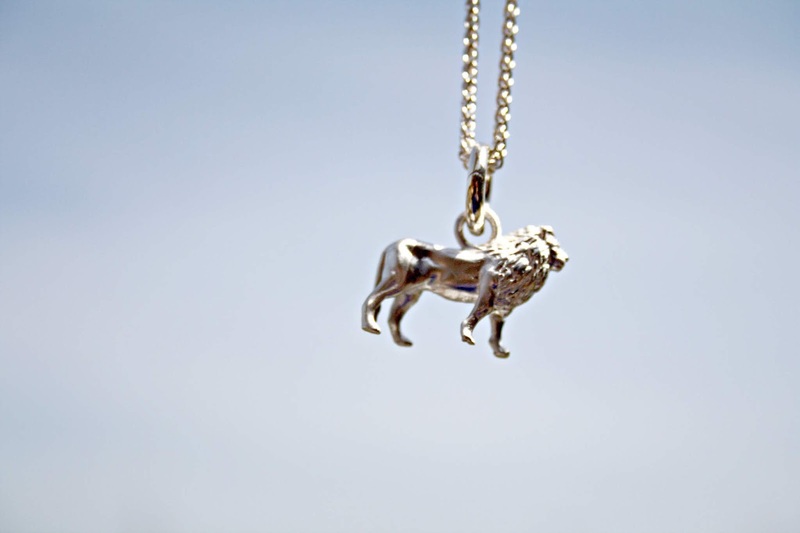 May you wear Cecil the Lion as a reminder that you possess personal power/strength/courage and may he balance your energies when called upon when you are not able to visit the seashore. At the time of speaking with Delane over the Facetime, I had no idea she would have listened to so much of what I was said. When I am feeling stressed and a bit out of kilter with myself, the one place that makes me feel relaxed is anywhere near water - even the bath and I think this is perhaps why I enjoy bathing as much as I do. I am never more calm than I am when I am near to the sea, just listening to the sea or the waves crashing is an instant soothing experience. 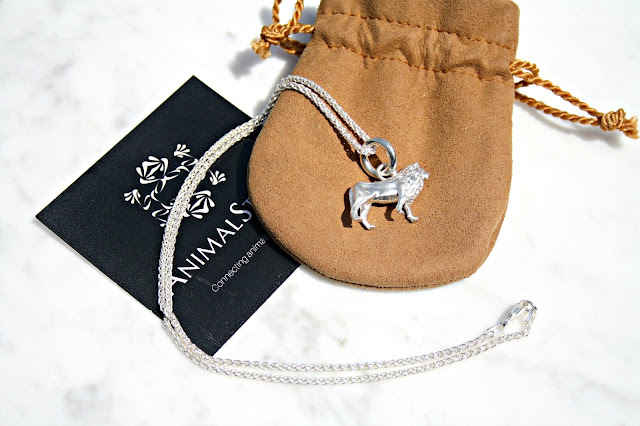 When I opened the box with the beautifully packaged necklace inside, nothing quite prepares you for seeing something so amazing that has been created for you, it was and still is quite simply breathtaking to see. The features of Cecil the Lion being so lifelike with every intrinsic detail there to see, the design of the mane, the eyes and even the detail on the paws is incredible. It is such an honour to be the recipient of something so beautiful and something so meaningful. I love that Cecil is 3D shaped which adds a specialness to the necklace which is so shiny and stands out that I've been asked many times where I got my necklace from and I am always so happy to tell the story of how Cecil came into my life. Sitting on this beautiful wheat chain, what I love is how wearable this necklace is, whether it is for everyday wear, a special occasion or even just because you feel the need to be wearing him, it works. 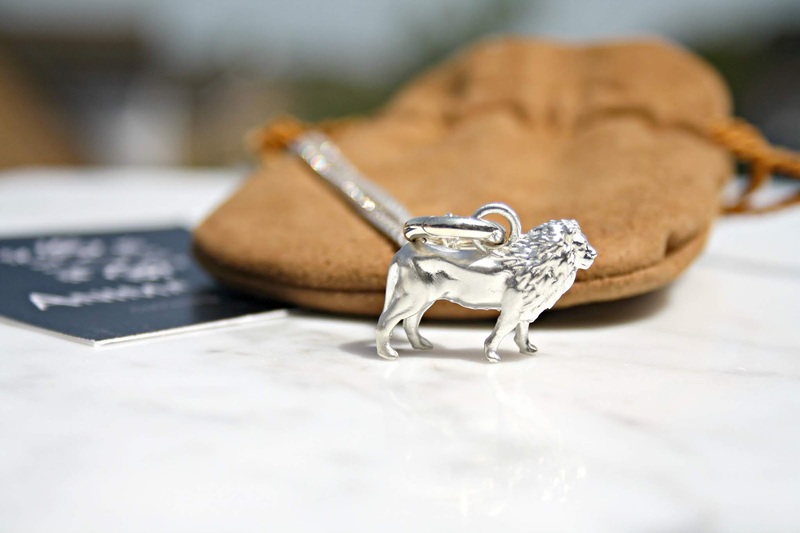 I love the circle of life clasp which means you can take him from the chain and wear him in other ways - on a bracelet or even a keychain for example. Whilst I received this as a gift, there are a lot of other animals available and depending on what it is you feel best represents you, some of my favourites include Rex the T-Rex, Kai the Sea Turtle and Mei Yu the Panda Bear all of which can be found here in the store. I kind of love that there is a T-Rex design too! I like simple jewellery too and this is just a lovely idea. I love the concept of this - so lovely! 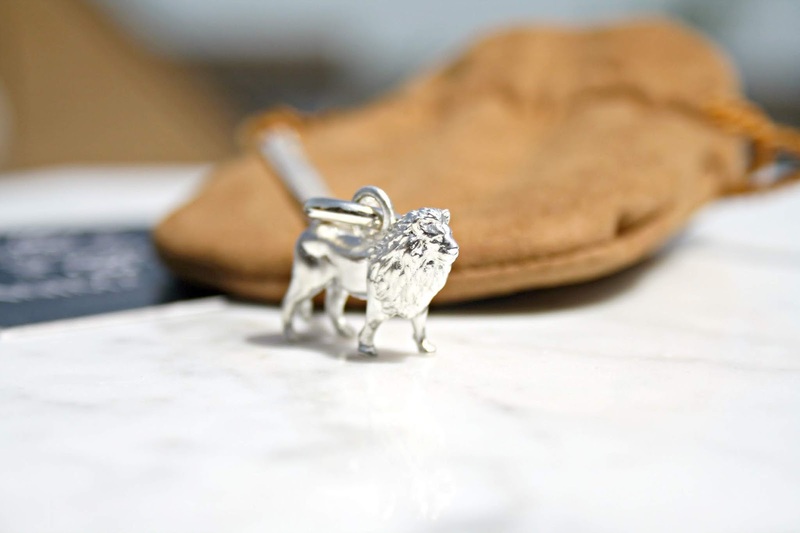 I love animals, this is such a lovely idea for jewellery design. Aaaah wow it is so cute! What a lovely gift! So posh! It kinda remind me of Narnia! Thank you your beautiful post! This is so cute. Do they have birth sign pendant? Thanks for sharing!